Admissions to British Model College for 2019 intake will open from Sunday 7th April 2019. Students who have successfully completed or appeared their SEE or equivalent exams are now eligible to apply for the A Level program at BMC. Photocopy of class 10 final exam result/Equivalent (Sent-up result). Document from school (Transfer/character Certificate). Citizenship copy (if the student doesn’t have this then guardian’s citizenship copy can be used). Photocopies of the documents related to any rewards, certificates, and special contributions. 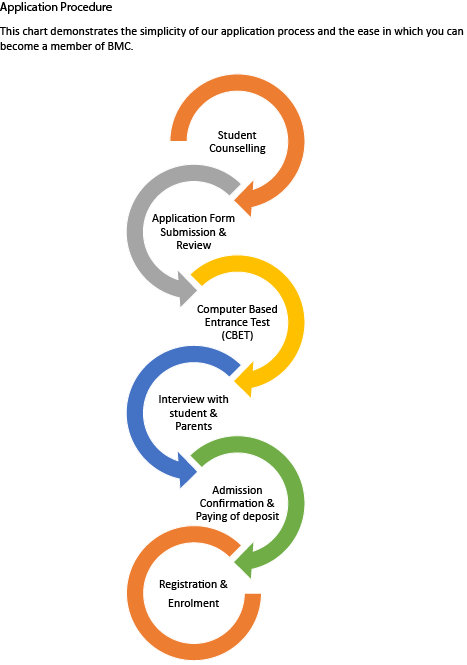 After submitting the application form you will receive the Entrance exam date and time. Appear in the exam, you will receive your results on the same day. Students will receive an SMS and Email for the result or they may inquire to the admission department in the college.